Gov. 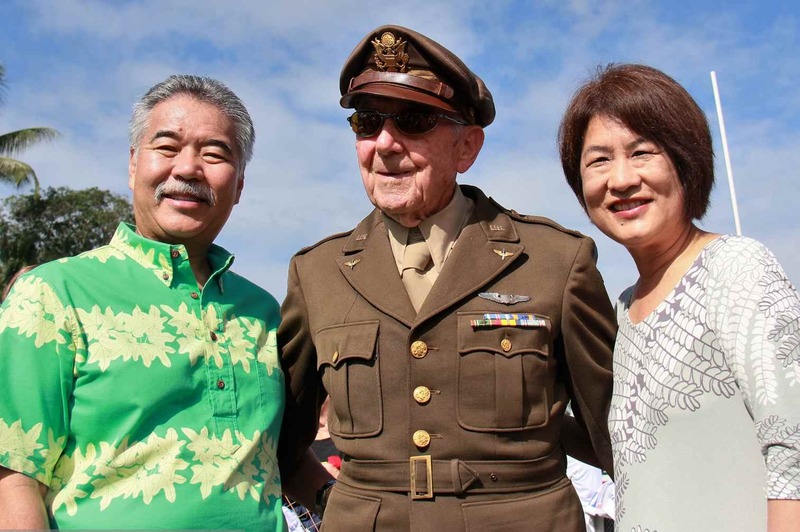 David Ige and First Lady Dawn Amano-Ige with World War II veteran Walter Hughes in Hilo. HONOLULU — For thousands of Hawaii residents and other Americans, the 75th anniversary of the attack on Pearl Harbor holds special meaning. That includes Gov. 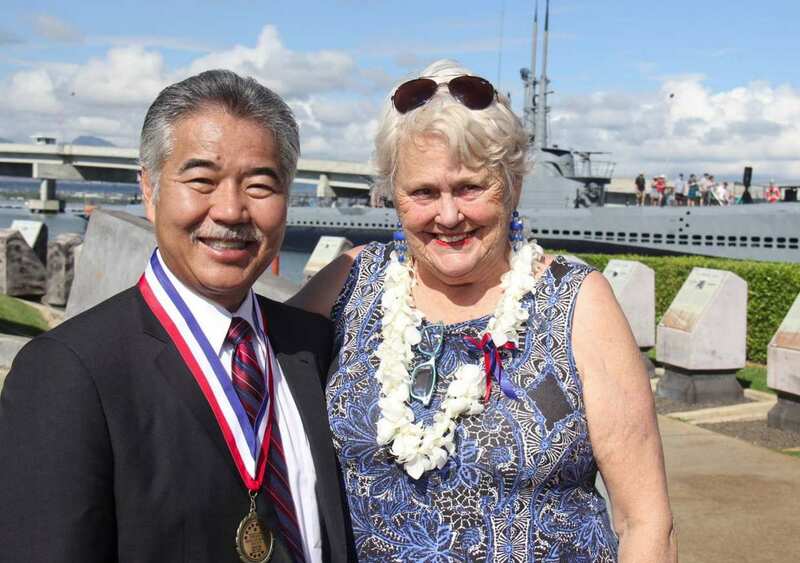 David Ige and First Lady Dawn Amano-Ige, both of whose fathers fought in World War II. Gov. 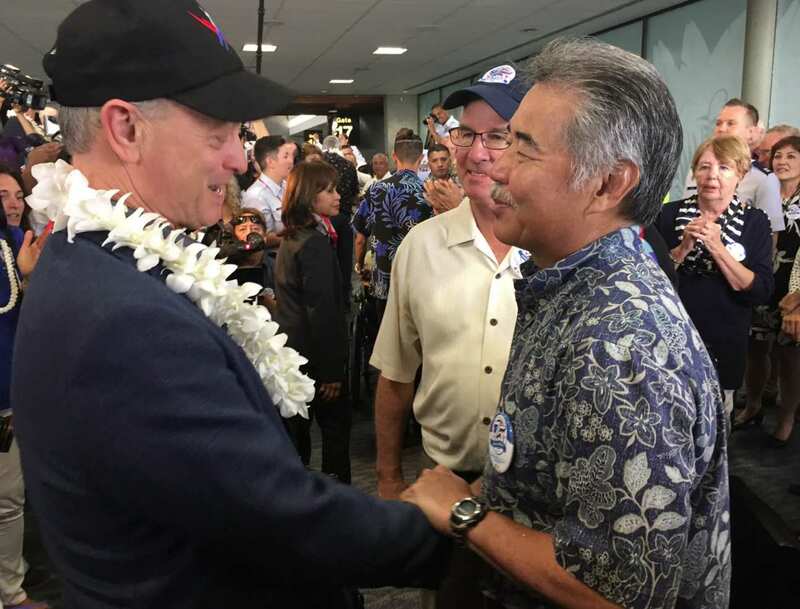 David Ige with actor Gary Sinise, a longtime advocate for veterans. Gov. and Mrs. Ige are joining government officials, military personnel, celebrities, and grassroots citizens at several events through Dec. 11 honoring those who lost their lives on Dec. 7, 1941 and those who fought in the ensuing years of the war. The events range from musical performances to ceremonies and other events honoring Pearl Harbor survivors and all veterans, active duty military and their families. On Dec. 6, Ige participated in the ceremonial ringing of the Freedom Bell at USS Bowfin Submarine Museum and Park. Among the veterans who rang the bell was 104-year-old Ray Chavez, the oldest living Pearl Harbor survivor. Gov. David Ige with Katya Shoemaker Spicuzza, the youngest living Pearl Harbor survivor, who was a baby living in Ford Island during the attacks.